Get A FREE Customized Greeting Card (New Customers)! You are here: Home / Great Deals / Get A FREE Customized Greeting Card (New Customers)! Yay! I just found out that this hot deal is back! 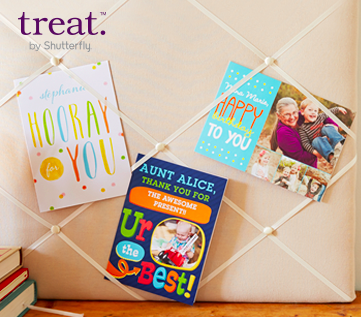 Once again, new customers can create a FREE Customized Greeting Card! You could make one for an upcoming birthday, Halloween, or even Christmas! Use coupon code TREATNEW at checkout before this deal expires on 9/10 at 11:59pm PST! All you pay is shipping, if applicable.